Jemima Vine smoking slippers, £149, jemimavine.co.uk BUY ME HERE! Allow me to introduce you to my fabulous new Jemima Vine smoking slippers and how fitting, since we’ve just entered the Chinese Year of the Snake, that they look like this! 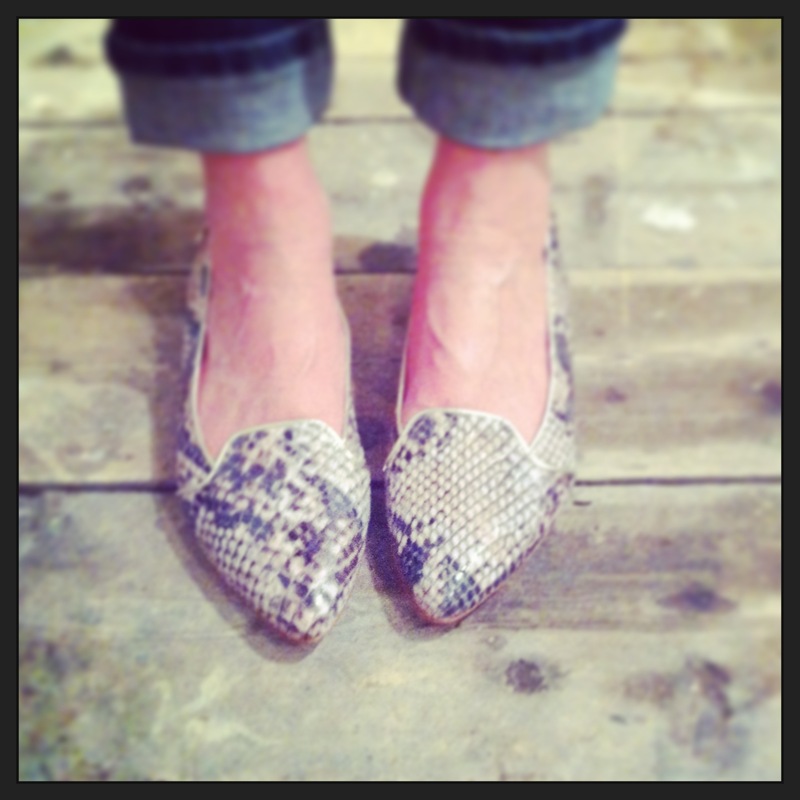 They aren’t made from real python, but look just as good and come with a clear conscience. 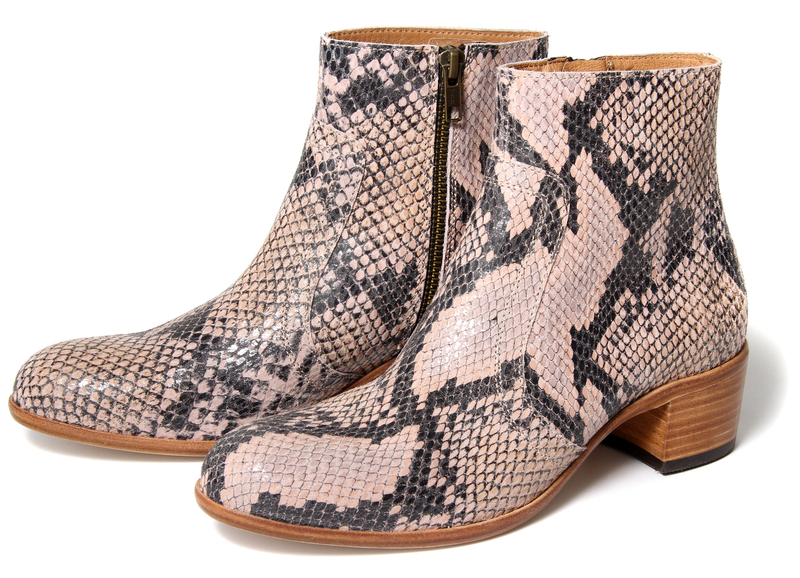 Snake print (and real snake) is a huge trend this season. I was lucky enough to see both Preen and Erdem’s beautiful SS13 catwalk shows at London Fashion Week in September, which were brimming with snake skin and snake print, often juxtaposed against pink florals for a modern (and far less ‘Crocodile Dundee’) take on exotic skin. H by Hudson boot, £175, hudsonshoes.com BUY ME HERE! The high street was quick to catch on to the trend (Marks and Spencer even has a snake print trouser suit!) but shoes and accessories are the easiest and most obvious way to wear it. Keep the rest of your outfit simple; I’ll be wearing my slippers with black leather trousers, a white oversized T-shirt and a neon yellow clutch. 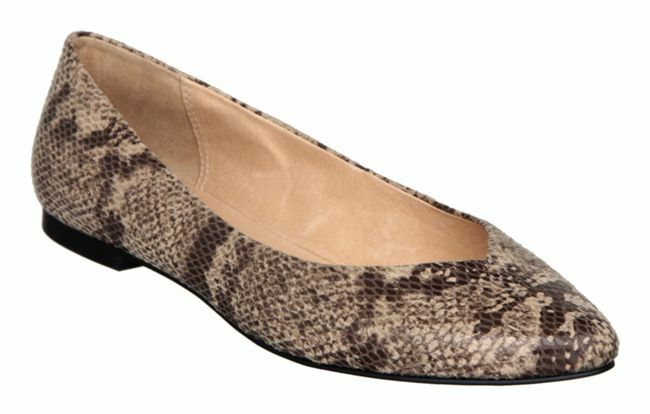 Bertie pumps, £39 reduced from £65, houseoffraser.co.uk BUY ME HERE! Topshop closed toe sandals, £26, topshop.com BUY ME HERE! 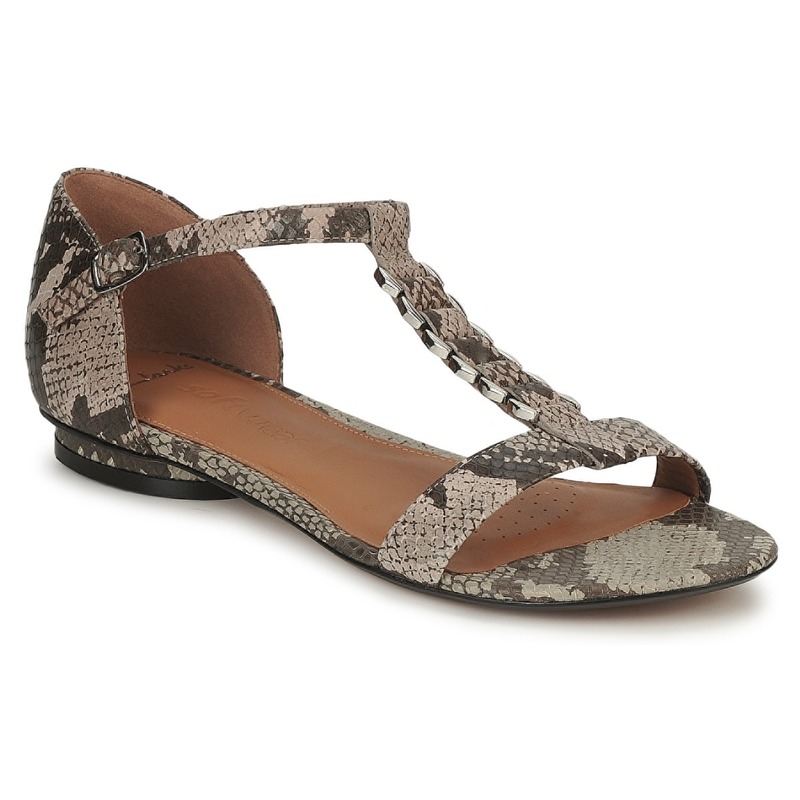 Clarks sandals, £44.99, clarks.co.uk BUY ME HERE!